March 8th looks like a day that should have all Mexican fans really excited by what looks to be a great card at the MGM Grand in Las Vegas. The card, which already seems to have had 2 bouts confirmed, looks likely to become one of the early runners for show of the year. The already confirmed bouts will see the unbeaten Leo Santa Cruz (26-0-1, 15) defending his WBC Super Bantamweight title against Mexican veteran Cristian Mijares (49-7-2, 24) and Saul "Canelo" Alvarez (42-1-1, 30) taking on the exciting power puncher Alfredo Angulo (22-3, 18) in a major cross rounds fight. Mijares, who twice defeated Katsushige Kawashima and also defeated Teppei Kikui will be looking to become a 3-time world champion though Santa Cruz, a man marked out as a possible opponent for Shinsuke Yamanaka is going to be heavily favoured here and has the sort of style to break down the skilled but light punching Mijares. The "Canelo"/Angulo bout is the more attractive bout with both men being hard hitters who, despite being relatively basic, will be looking to score a victory to leapfrog them back into a big money fight. Both men unfortunately come in to this contest following losses. For Canelo it was a clear loss to Floyd Mayweather, despite the judging of CJ Ross, whilst Angulo was stopped by Cuban Erislandy Lara. This bout should be great to watch, especially with everything on the line, including the fact it's an all-Mexican clash. As well as the two confirmed bouts we're hearing strong rumours of two other contests. The less important, to us anyway, is a WBC interim Lightweight title fight that is said to see Omar Figueroa (22-0-1, 17) taking on Ricardo Alvarez (23-2-3, 14), the old brother of Canelo. Whilst on paper it's an acceptable bout we really can't imagine anything but a victory for Figueroa who is simply a beast in the ring. The better bout for us is the mooted clash between former Figueroa opponent Nihito Arakawa (24-3-1, 16) and Teiken's Jorge Linares (35-3, 23). The bout, which would be Arakawa's second successive one in the USA, would be a fun one to watch and a chance to see if Linares has the skills to combat the pressure of Linares. 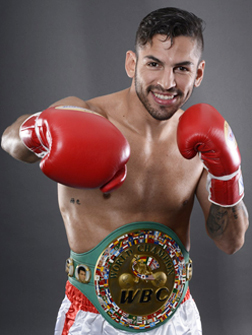 Unfortunately for Linares it seems his option, for now are relatively limited. He'll have already heard that prospective opponent, and current WBA champion, Richar Abril (18-3-1, 8) is set to sign up to fight in Russia against the unbeaten Eduard Troyanovsky (17-0, 14), and WBO champion Ricky Burns (36-2-1, 11) has a mandatory to fight against Terence Crawford (22-0, 16) whilst IBF champion Miguel Vazquez (33-3, 13) will meet Denis Shafikov (33-0-1, 18) in February. By fighting on this card Linares could open up the door for a bout with the winner of Figueroa/Alvarez whilst Arakawa could himself earn a second world title bout. Great match up if it comes off and one that could help strengthen the case for this show to be a PPV. something we didn'texpect when we heard about the main event, which whilst a good fight is certainly not a PPV quality match up.